Sophsterlicious • UK Blog: A Beauty Haul. I don't often post hauls on my blog because it isn't THAT often that I go out and just buy make up . . because I already have so much, so only if a product really grabs my attention will I make sure I get my hands on it. From the above, I was really wanting The Rocket mascara and the Brow Drama, the others just came along because Revlon had 3 for 2 in Boots and Maybelline had Buy 1 get 1 half price in Superdrug. It would've been rude not to take advantage of such offers! I'll probably have individual reviews up on some of the products, sometime soon. As a quick over view though, I will say that I am enjoying all of my purchases! The blusher is a gorgeous colour and so blendable, the matte balm makes me want all of them, I love matte lips and it lasts so well. The concealer is amazing! I love colorstay foundation, so had an inkling the concealer would be great. The brow drama was something I wasn't sure of getting since I had read so many negative reviews on it, but it totally works for me and I am so glad that I have it, and I also love the rocket mascara! Thanks for reading.. I hope y'all are liking the new layout too! Cant wait to read your review on Brow Drama hun!! Good choices, brow drama pretty much holds holy grail status for me... 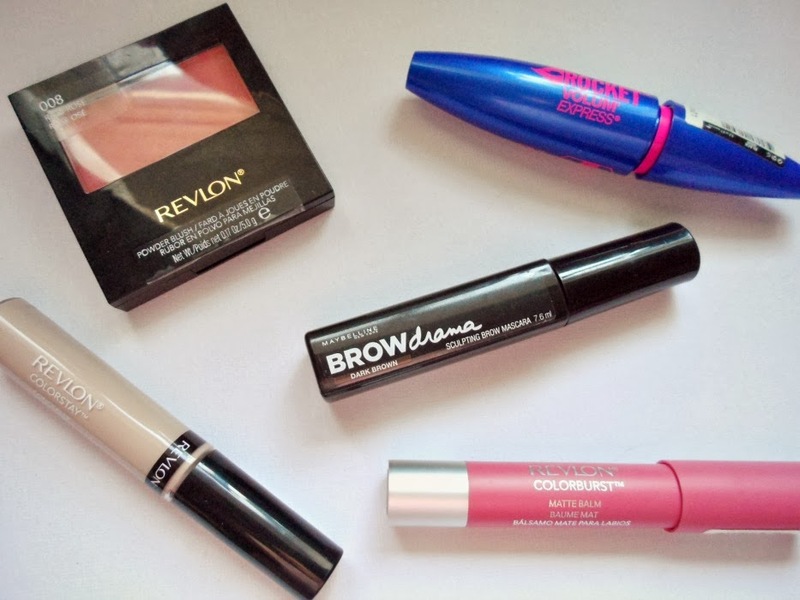 I use it every day without fail the revlon matte balms are also amazing!! Nice to know I'm not alone. I think it's fab!